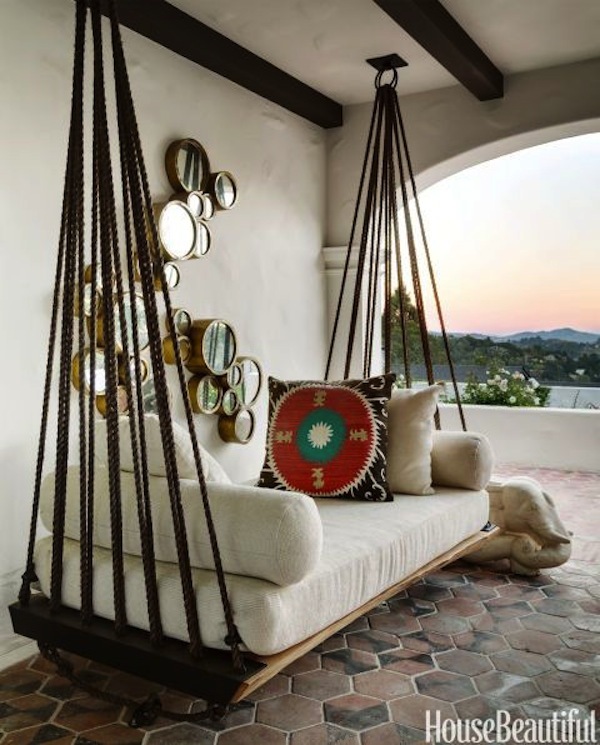 Whether you’re a fan of traditional wrought iron swings and gliders or the look of Mid-Century modern styles always catch your eye, there is a design that’s just right for your porch, patio or garden. 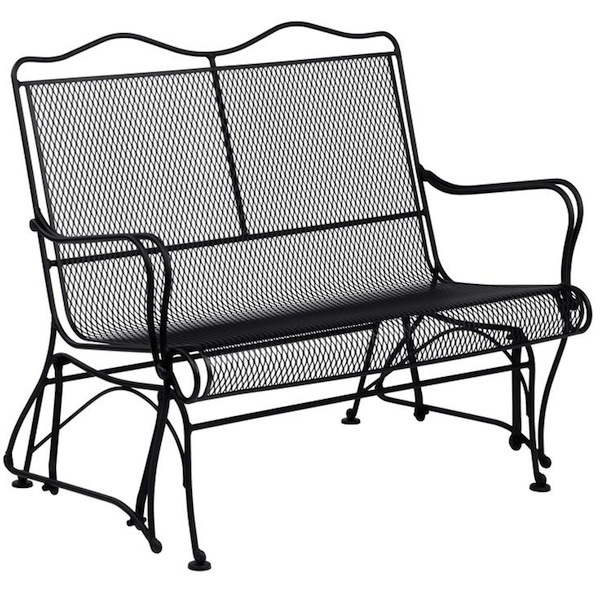 Of course, our outdoor furniture material of choice is always wrought iron because of its beauty and durability. It’s what we do after all. 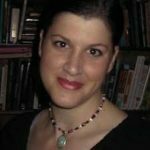 Today, we’re sharing lots of styles and materials–wrought iron and others. 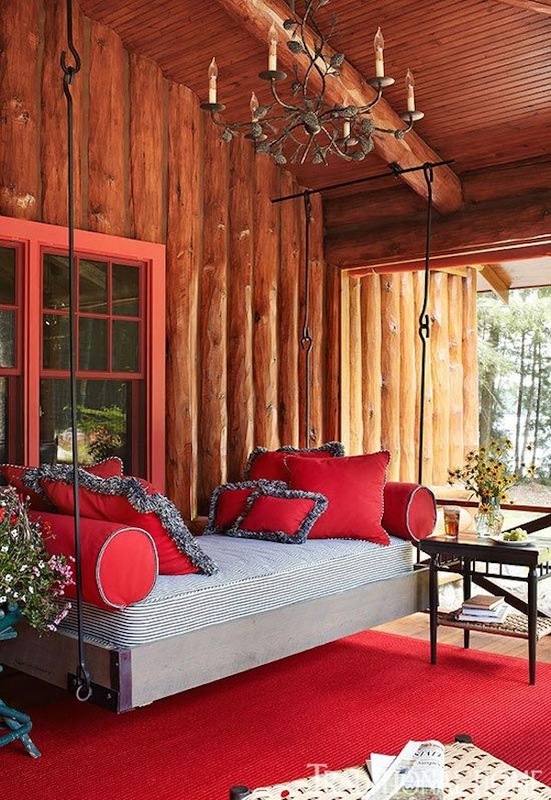 Here’s a mostly wood porch swing with mattress accented with brilliant red. 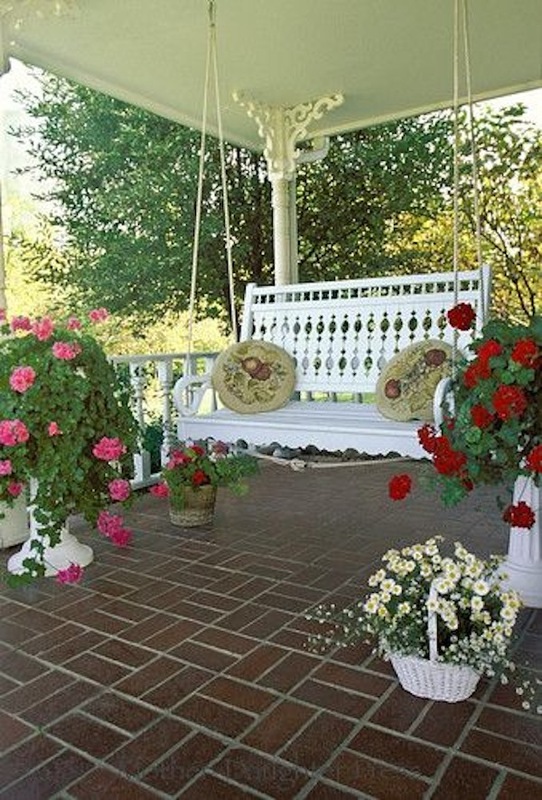 Here’s wrought iron and wood swing painted in pristine white that works beautifully with colorful potted plants. 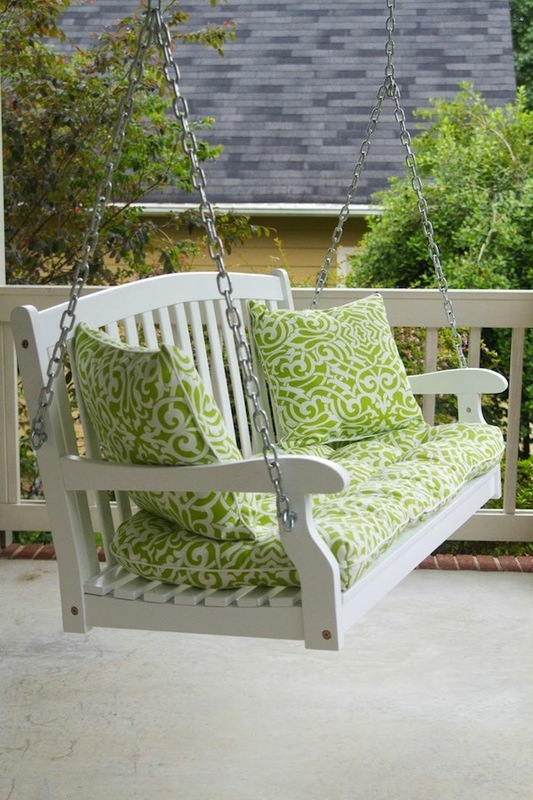 A modern cottage porch shows off a white swing with green and white cushion and pillows. 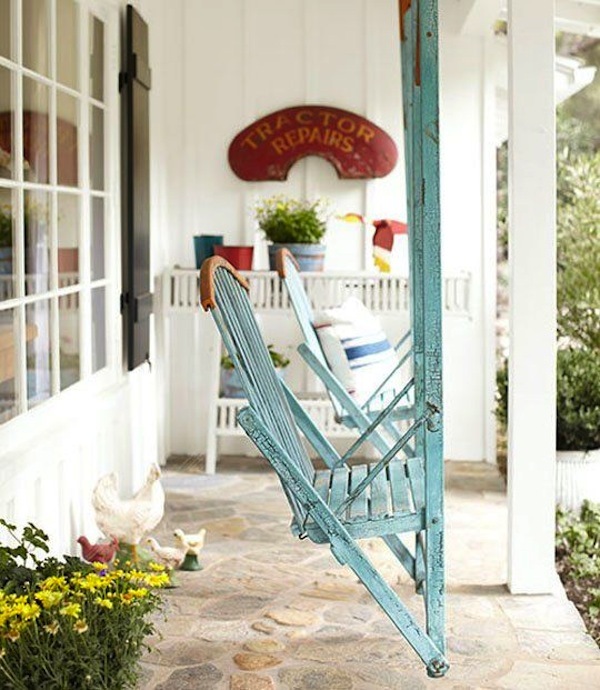 Here’s a clever vintage porch swing in beachy blue. 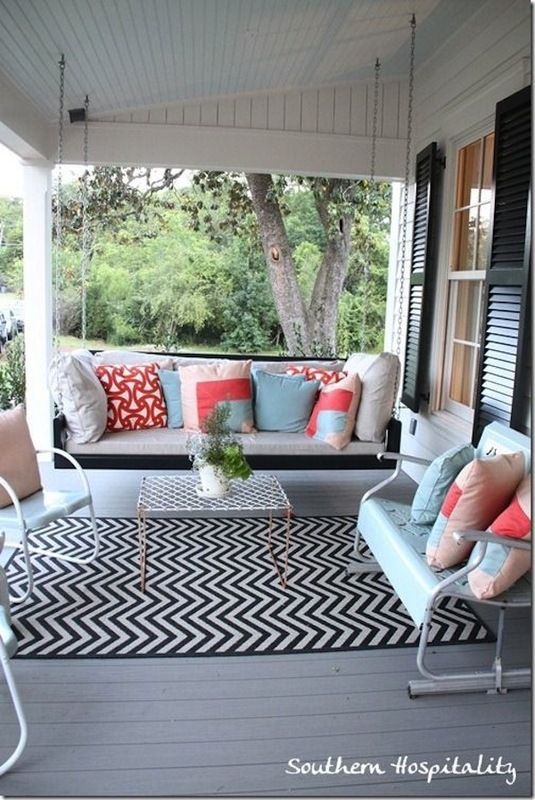 This wooden porch swing, supported by heavy rope, featured robin’s egg blue paint and a thick comfy seat cushion. 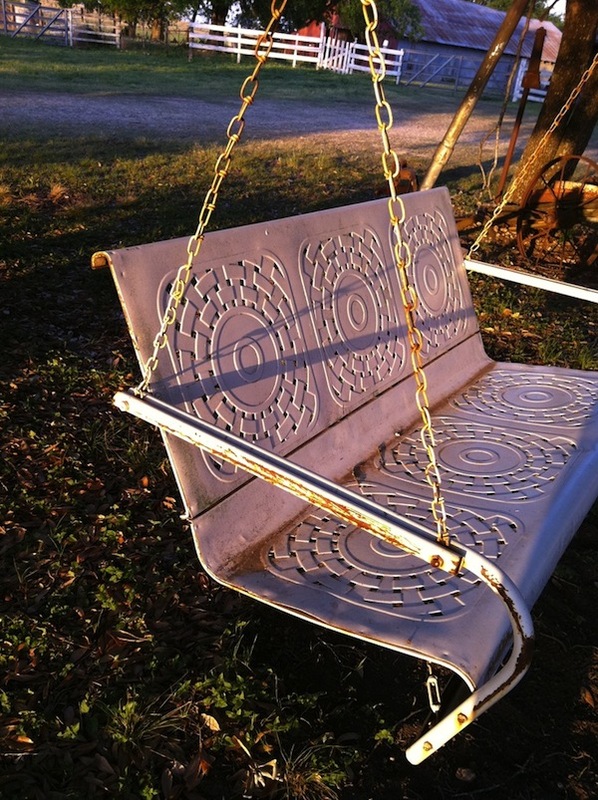 This vintage white metal outdoor swing hangs in the yard. 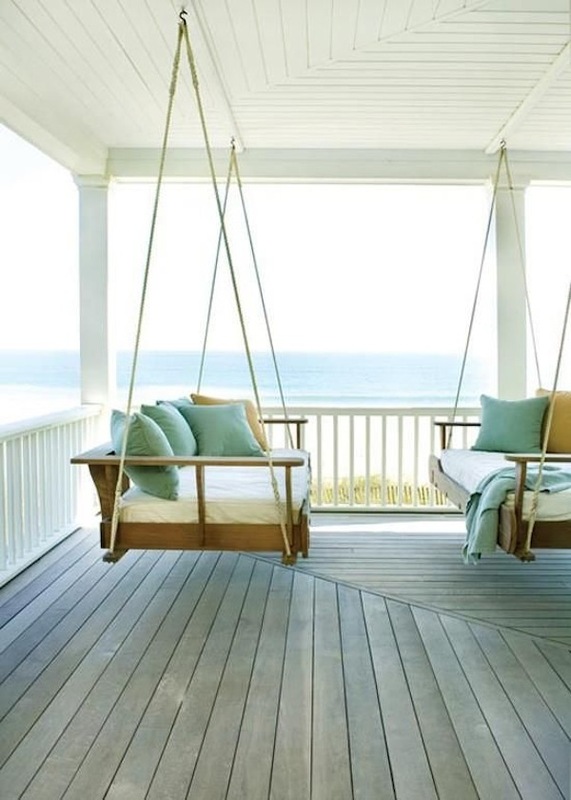 A pair wood and rope swings offer hours of relaxing with an ocean view. The Tucson High Back Gliding Loveseat is perfect choice for those who desire a traditional garden look with the true durability of modern handcrafted outdoor seating. Love the look of padded sling seating? Check out the Terrace Padded Sling Glider. 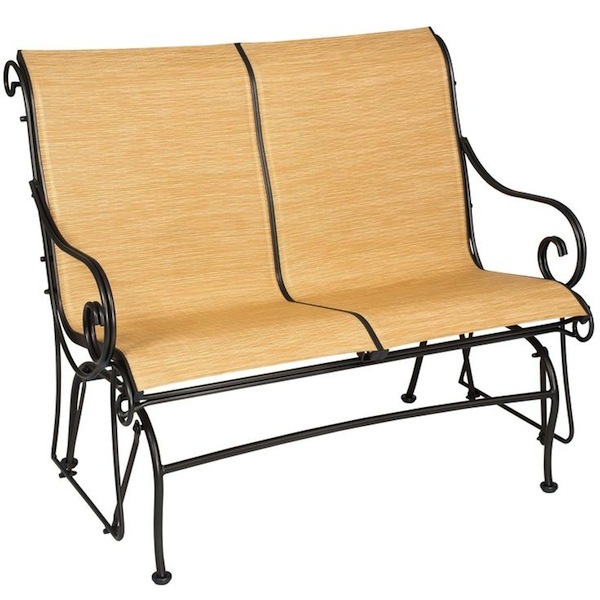 A wide range of gorgeous fabrics are available for this outdoor glider as are several beautiful finishes for the iron. 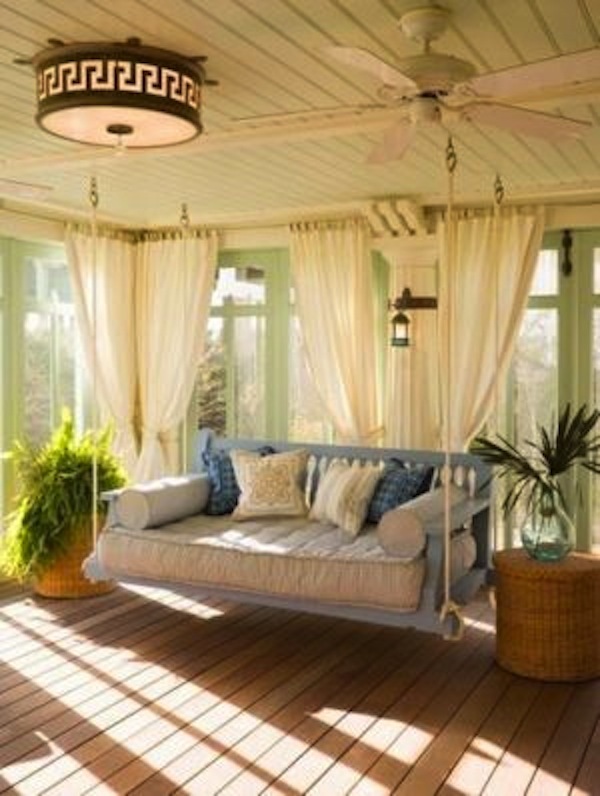 Want to add romance and nostalgia to your porch? 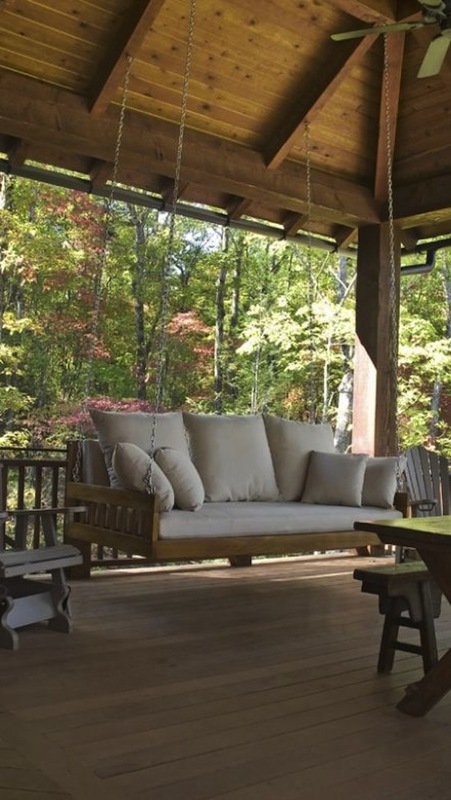 The Griffin Creek Iron Porch Swing may be just the thing you’re looking. 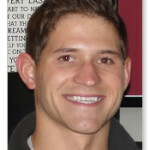 Image Sources: SouthernHospitality.com; TraditionalHome.com; Coolshire.com; LittleBitsOfHome.com; ApartmentTherapy.com; TheGardeningCook.com; Pinterest.com; Goedekers.com; HouseBeautiful.com; TimelessWroughtIron.com. 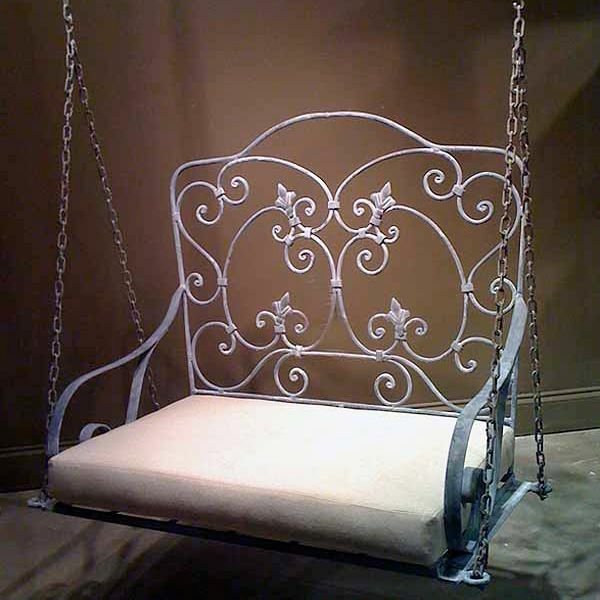 I am restoring a metal swing that looks identical to the pink yard swing featured on this page. I took photos of the swing before disassembly but my phone died and I lost the photos. Would it be possible to get photos of the pink swing from the back and bottom? There is a turn buckle used on the bottom of the swing but I’m not certain how it connects. There’s also two support rods that either go on the bottom or back of the swing. I’m having some issues trying to figure out how to reinstall these supports. Thanks in advance. Unfortunately the image of the swings are outsourced. We found the one you referenced on Pinterest https://www.pinterest.com/weezytam/swings-favorite-things/. Best of luck with your swing restoration!